What increasingly affects all of us, whether professional planners or individuals preparing for a better future, is not the tangibles of life-bottom-line numbers, for instance-but the intangibles: our hopes and fears, our beliefs and dreams. Only stories-scenarios-and our ability to visualize different kinds of futures adequately capture these intangibles. 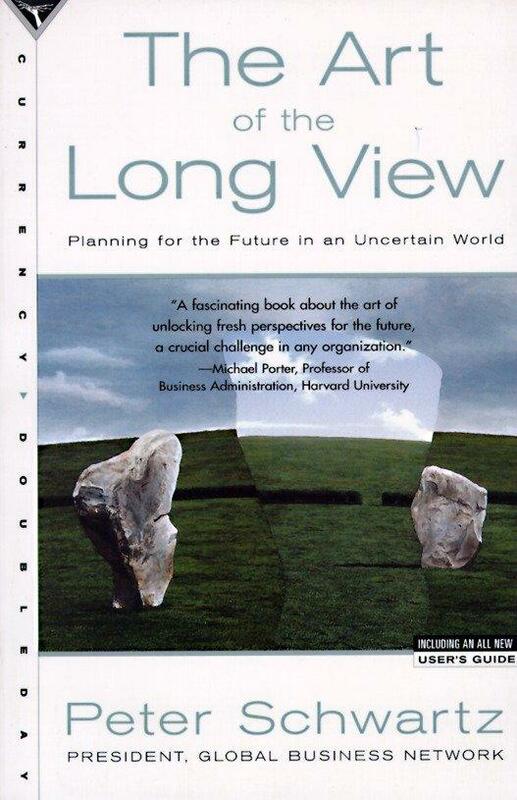 In The Art of the Long View, now for the first time in paperback and with the addition of an all-new User's Guide, Peter Schwartz outlines the "scenaric" approach, giving you the tools for developing a strategic vision within your business. Schwartz describes the new techniques, originally developed within Royal/Dutch Shell, based on many of his firsthand scenario exercises with the world's leading institutions and companies, including the White House, EPA, BellSouth, PG&E, and the International Stock Exchange. Peter Schwartz is the chairman of the board of directors of the Ayn Rand Institute, as well as the teacher of an advanced writing course at the Institute's Objectivist Graduate Center.